This is a great opportunity to own an original at a fraction of the usual price. 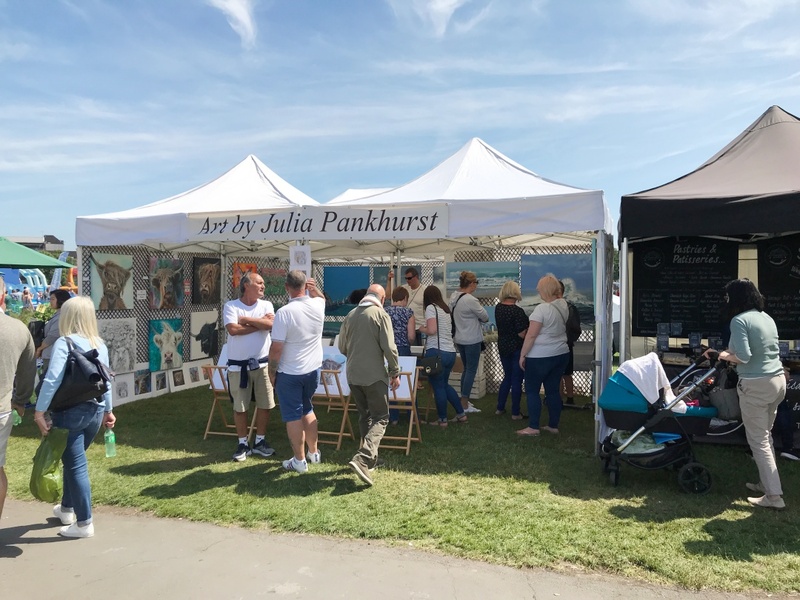 To place a bid on any of these paintings please send an email with the painting name and your highest bid to info@pankhurstgallery.com and we will manually add your highest bid to the listing. We will update you if you have been outbid and with a general email for all the auctions during the week and nearing the close of the auction Sunday 24th at 8pm .…. WIN a print! I’m looking for a good name for my new painting. If I choose yours you can have a small animal print of your choice. 15 Feb Coming soon, Cowes yacht racing! 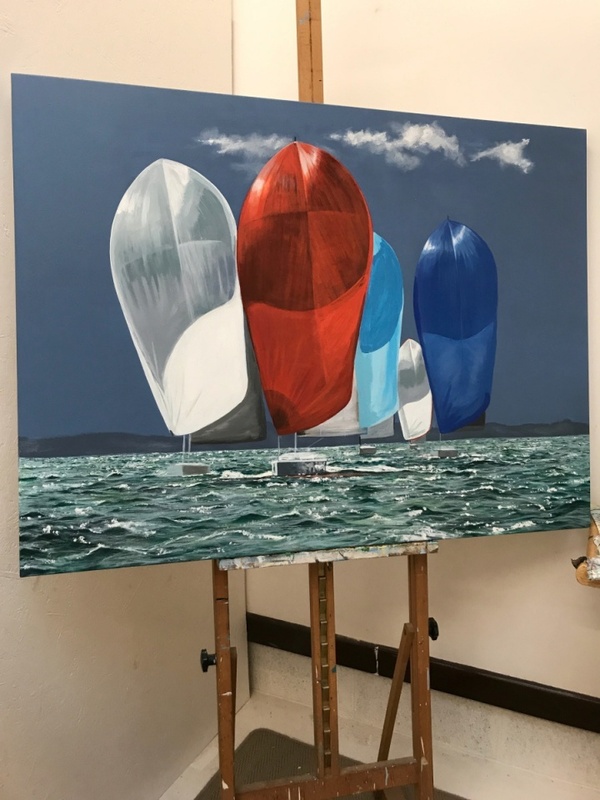 Deep blue sky, sparkling green sea and brightly coloured spinnakers…. Spring is on its way!! 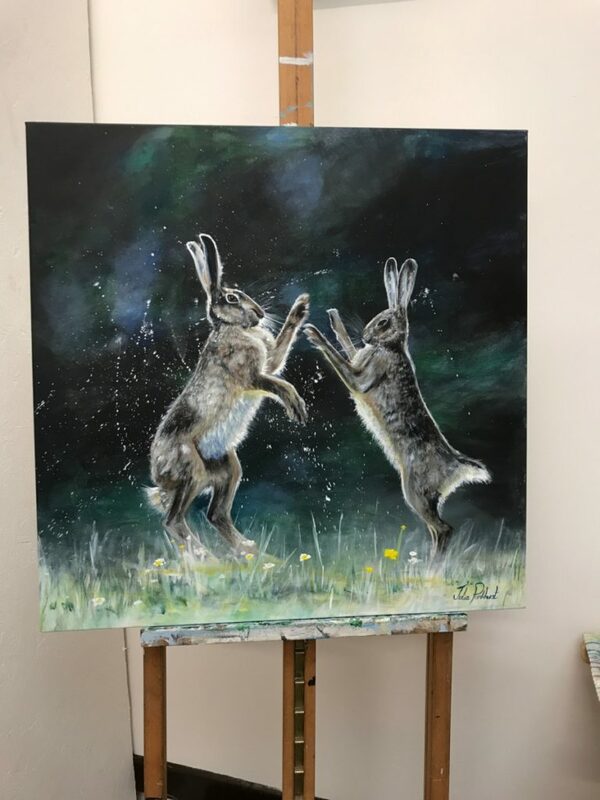 The first in a series of three paintings of Springtime Hares. 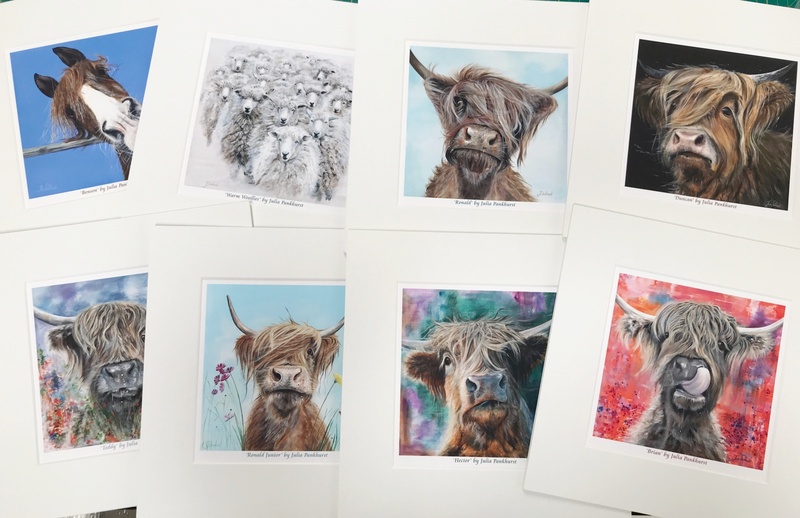 Simply click the link below to select your prints then add your free one at checkout. 03 Nov 10% Discount off everything this weekend. For the website use coupon code ‘PGNOV2018’ or come and visit the gallery today. Either way don’t miss out!! Just a quick email to say a big thank you to everyone who has popped along to the gallery over the last month, its been great to see you!! A couple of things… This weekends 10% discount at the Gallery and online (coupon code PGNOV2018). There will be more 48 hour discounts over the next few months, so keep your eyes peeled for my mail shots or these news posts. 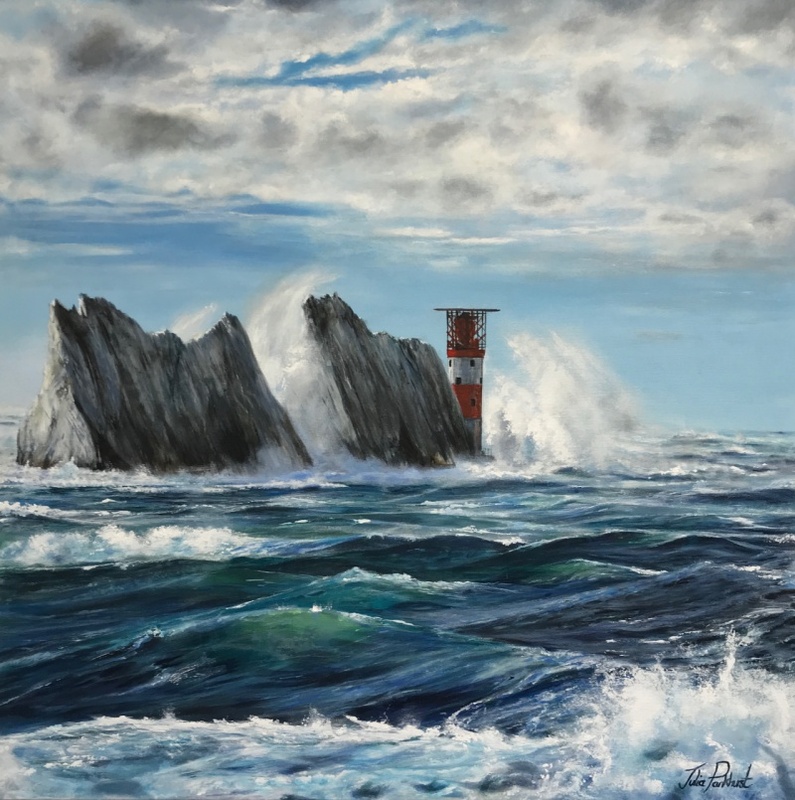 There are 3 new paintings to tell you about, the featured painting of The Needles on a wild stormy day, called ‘Bracing the Waves’, is one I absolutely loved painting, and can be purchased in various sizes of prints see here. I also have a new highland coo called Bruce see here. The third one is a painting of HMS Liverpool paying off’ see here. Coming up…. I will painting a couple of Stag paintings, and a follow on from Glassy Sea, a ‘Glassy Sea 2’. For Now have a fantastic weekend! !